Are you a MS Outlook user and want to read and save your emails as text files? Get our PST to Text converter tool to take Outlook PST messages, and attachments and save them to separate text files. Need to Convert PST to Text: When you want to transfer PST emails to another email client or any of other computer where as Outlook is not installed. Further PST to text conversion is best way to do all these. Because text files are most commonly used file format and supported by maximum email clients and text editors. Now you need a commercial tool to convert PST to text. PST to text conversion is being very easy with our software to convert PST files to text files. Here is an Easy Method for PST to Text Conversion! Convert PST to text files in simple and effective by using our software for converting PST files to non-PST file formats. With our PST to text file converter software you can convert entire Outlook PST items including inbox, outbox, deleted items, sent items, contacts, to-do lists, tasks, journals, calendars etc. PST to Text Converter Tool: This PST to text conversion software can successfully convert configured PST files as well as orphan PST to files to text format with all email properties like to, cc, bcc, sent and received dates and all attachments related to emails. You can also convert PST to EML, MSG, RTF, HTML, VCF and MHT formats. Ready to Try or Buy – Advanced Software to Convert to PST to Text! 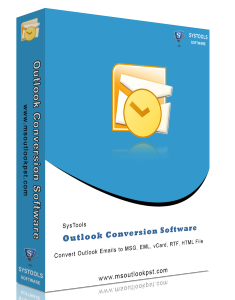 Try Outlook Conversion tool as PST to text converter tool before buy it for converting PST files to text as trial version that is available free of cost. Trial version will convert 15 PST items at time to non-PST format like text, EML, MSG, vCard, HTML, MHT and RTF format. Further for complete PST to text conversion, you should get the FULL activation key of Outlook Conversion tool only at $49.